Music for All @ SMSG promotes access to a wide range of music performed by a broad range of talent, with an emphasis on performance opportunities for young, developing, and local musicians. 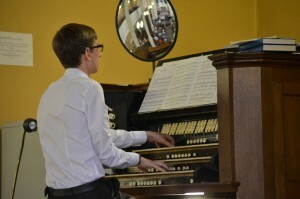 Willis Pipe Organ Festival was a Restoration Celebration, with well-known UK organists performing a range of works to show off our wonderful restored Willis Pipe Organ. The church and the organ are just two of the many historic aspects of Stony Stratford and we encourage visitors to find out more about our heritage as part of Heritage Open Days. 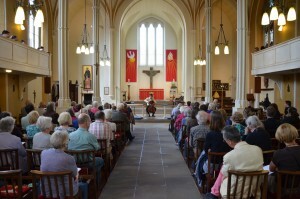 Classical Concerts We put on a diverse range of events monthly – from cello pilgrimage to chamber choir, guitar to piano and voice, organ or piano with choral groups, welcoming both visiting and local artists. 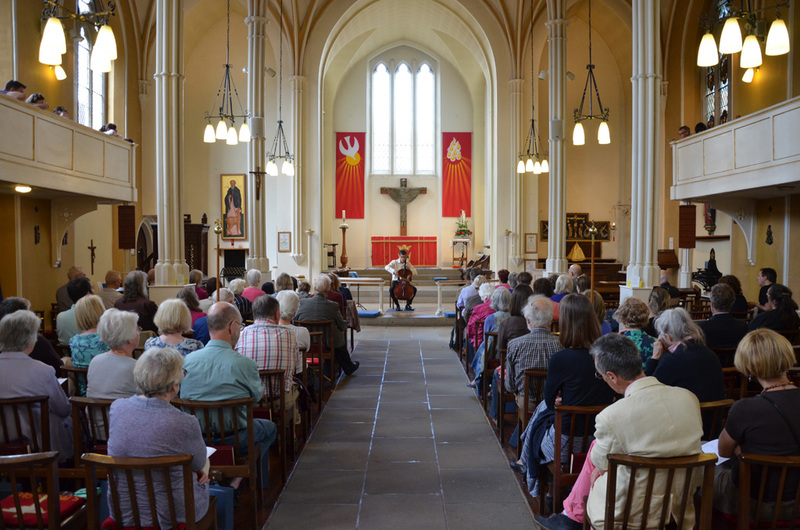 We have hosted several choral society concerts (such as Andante, MK Chorale, The Open University Choir) and many performers repeat bookings as the church acoustic and space supports their music so well. Come & Sing @ SMSG An annual choral day in November, open to all, to learn a work together and perform in an informal concert. Some 160 singers from over 40 different choirs and none, from 35 miles around, have for example enjoyed tackling John Rutter’s Requiem and Handel’s Messiah. Drop-In On the Third Thursday at Twelve Thirty every month there’s a free 45 minute session of fun for all ages, with live music (often from young people), good company and refreshments on tap - bring your lunch, relax and enjoy. 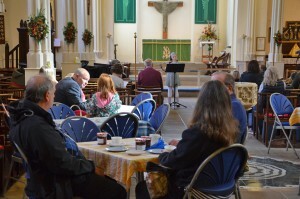 Or join us on Saturday mornings through the winter for free Musical Bites – something different to listen to over coffee and cake. Outreach SMSG Church Band and Handbell Ringers involve and entertain many local people in our outreach programme throughout the year, visiting care homes, community groups, and other churches. The Band is also famed for its cream tea concerts and tea dances! We also encourage other local groups to use the church as a venue for their concerts and events, making the most of the piano and organ. 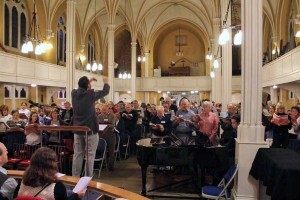 Music for All @ SMSG now organises or supports some 50 events a year.